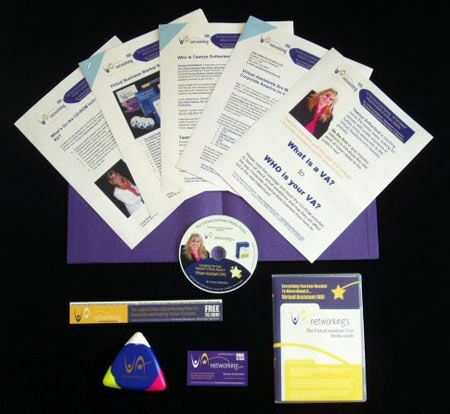 Please contact us for access to our Virtual Assistant Media Guide ~ Everything You Ever Wanted to Know About a Virtual Assistant (VA) which includes a private tour of our Virtual Assistant Networking Association, articles, resources, VA informational Q & A plus, high res pictures, an informative VA information packet plus a sample download of the Virtual Business Startup System (VBSS). Available in digital download or mailable CD-ROM format. Please contact us and ask for your Virtual Assistant Media Guide ~ Everything You Ever Wanted to Know About a Virtual Assistant. If you require the hardcopy version, please provide your mailing address. 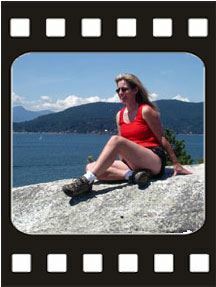 Tawnya Sutherland, Founder of Virtual Assistant Networking Association , lives on the shores of the Pacific Ocean near Vancouver, Canada and is a single mother of 3 children working from a home-based office as a Virtual Assistant. She is a Certified Internet Marketing Business Strategist and Multimedia Specialist for her company, Mediamage Business Solutions graduating in 2002 from the University of British Columbia with her Multimedia and Internet Marketing certifications. In 1982 she obtained her Legal Secretarial Certificate at Durham College in Oshawa, Ontario. An active member of many Virtual Assistant organizations online, Tawnya is founder of VAnetworking Virtual Assistant Networking Association (www.vanetworking.com), the largest Virtual Assistant member based networking hotspot online. Tawnya Sutherland is available for speaking and media engagements at business conferences and women’s organizations throughout North America regarding subjects on Internet Marketing, Virtual Assistance and business startups. 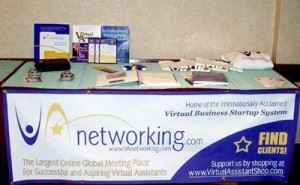 A long-time active member of the VA community, Sutherland founded The Virtual Assistant Networking Association, the largest online global meeting place for successful and aspiring Virtual Assistants. 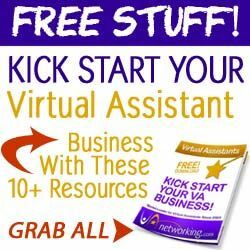 Tawnya is also the creator of the internationally acclaimed Virtual Business Startup System—which provides all the information, tools, and resources for a VA to build a viable virtual assistance business in just 30 days. Tawnya began her own administrative support VA business, Mediamage Business Solutions, in 1997 but has since focused on providing Internet Marketing services helping her clients turn clicks into cash. Tawnya is a Certified Internet Marketing Business Strategist and Multimedia Usability Specialist graduating in 2002 from the University of British Columbia. Tawnya’s newest venture in the VA industry is hosting and producing the internet radio show, The VA Talk Show which informs, educates and entertains virtual achievers globally. Personal Style: Tawnya like a ginger snap cookie: Strong flavored, yet tasty and addictive, with just the right amount of sprinkled sugar sweetness on top to inspire and motivate you to eat more! Tawnya’s Secret To Success: The secret to my success came to me from a cereal box of all places. Some people claim high power people like Donald Trump or Oprah have given them the secrets to success. To me it came from three little Elf Chefs named Snap, Crackle and POP. It’s quite simple, you don’t need to work out long complicated plans and flow sheets. It all comes from inside, and you just need the tools to get started, after that the wheels of momentum and the knowledge of experience (whether gleaned from self experience) take over. So let’s get back to my three little friends from the Kellogg’s Rice Krispies box. Snap This is easy to understand, you have the dream, you have the skills, and you have the desire to change your life. So … SNAP TO IT! It won’t happen until you start, and has been said by someone wiser than I, “All journeys start with a single step”. Crackle Ok I changed the word a little, but you need to CRACK the whip every day. Rome wasn’t built in a day, but seeing as you’re most likely starting your empire alone, you need to crack the whip on yourself every day, especially when it seems that the building process will never stop. Little secret here, it won’t. Because as with Rome, you’ll always need another street or another shop, or most likely, in your case a another website! POP He’s a little different as he is the anchor in your marathon to the top and he has several jobs for the long haul. So let’s break POP down to its core. P is for Perseverance. You have the passion, now believe in yourself enough to persist through the tough days, there will be many, but the rewards will come. O is for Outsource. You know what you’re good at so outsource the rest, there is no point you spending time on something you don’t like or know how to do. Do what you know how to do and love doing best, and get others to do what they’re good at. P is for Populous. Surround yourself with people that think the way you do (This does not mean find “Yes Men” either). This means find people with similar skills, to learn from, with similar dreams to aspire with and similar goals to work towards. And don’t forget to hang with the people you wish to be like one day too! So go pour yourself a bowl of success, add a little milk, and just a touch of sugar to sweeten it up, and go get em’ Tiger… Oh that’s another box of cereal and other story, but that will come later. Tawnya loves to travel with her lastest adventures being her home town Bewdley, Ontario and a medievil vacation to Europe. Her next travel spot? Hopefully the Caribbean Islands or somewhere with palmtrees. Tawnya’s favorite moments however are times spent with her kids who are growing faster than the weeds in her garden. From the scary amusement park rides she must endure, birthday parties to organize and sports events to attend, Tawnya especially loves one on one time with her kids whether it is playing a duet together or just snuggling up and being goofy. “It’s hard to believe my oldest has grown into a successful, independent, working woman already herself!” says Tawnya of her 24 year old daughter. 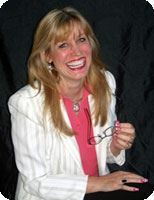 Tawnya Sutherland is available to speak in various business venues and women’s organizations globally from large conferences, talk radio shows, television, small web-based seminars, company training and one on one coaching for business start-ups, virtual assistance and internet marketing. Topics of interest relate around Virtual Assistance, Internet Marketing, Search Engine Marketing, Web Usability, etc. Please contact us to book Tawnya for your next speaking engagement. Please contact our media representative below, Arnold Klappe, if you want to set up a speaking engagement, radio/talk show, interview, etc. with Tawnya Sutherland.